Shortly after the introduction of the fourth-generation Dart, Dodge released the high-performance GTS model. This package came standard with a potent 340ci V8, and it would also become available with a 383ci V8 for those who wanted even more power. 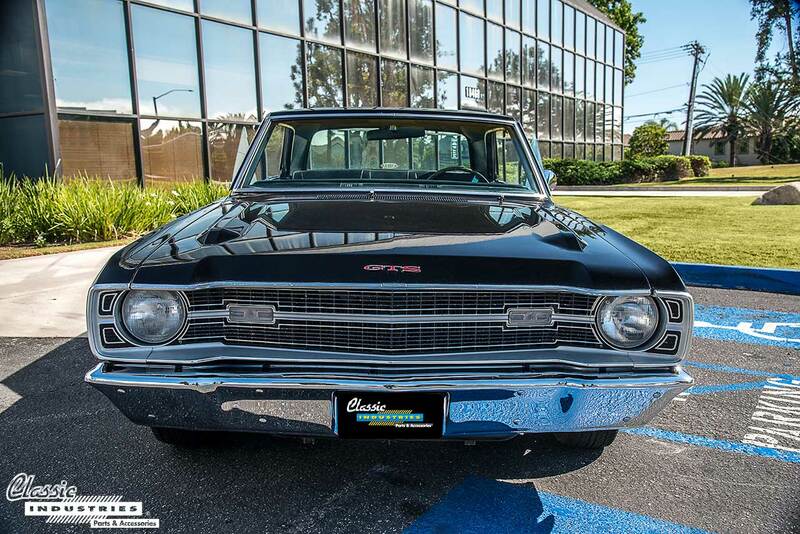 The 1969 Dodge Dart GTS pictured here belongs to Jeremy Brosnahan, of Monrovia, California. Jeremy purchased this car four years ago, and since then he has restored it for daily-driving and show purposes. 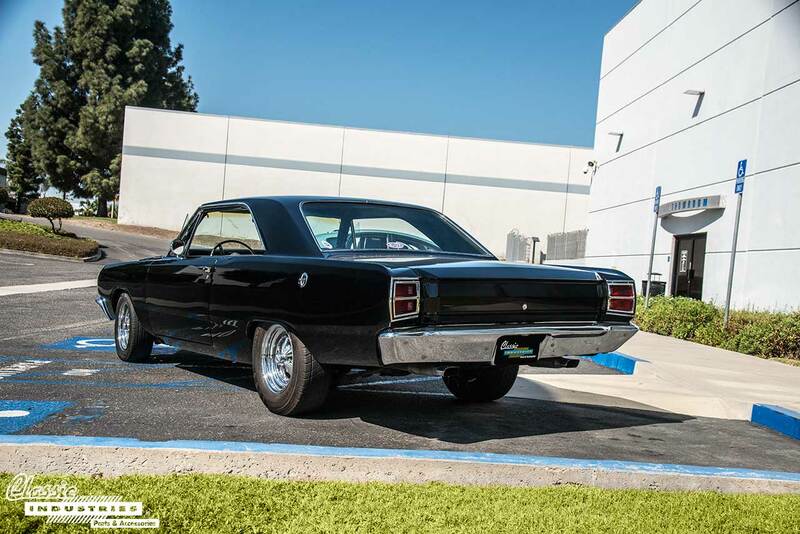 This Dart GTS features the correct 340ci V8 with a 4-barrel carburetor and TorqueFlite automatic transmission. 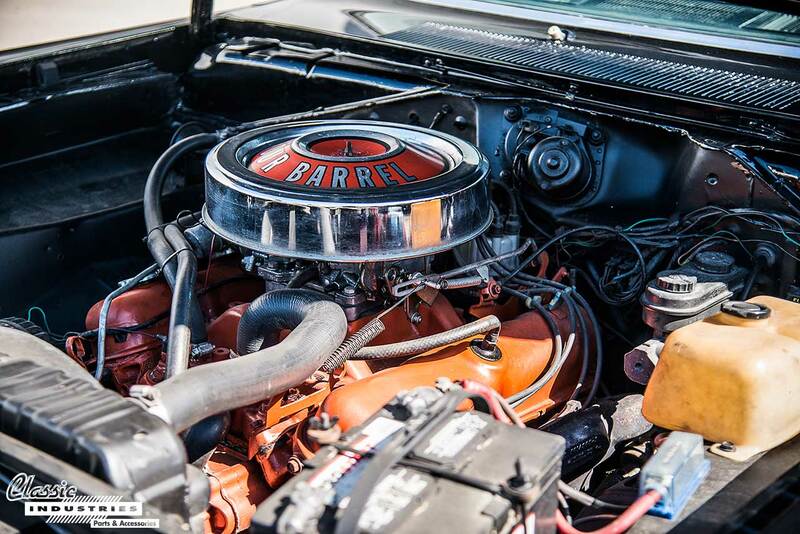 Though the engine bay is clean, you can also tell that this Mopar doesn't just sit in a garage -- it gets driven frequently. The exterior of the Dart GTS has been refinished in sleek gloss black paint, with a new grille, lighting bumpers, emblems, glass, and trim from front to back. 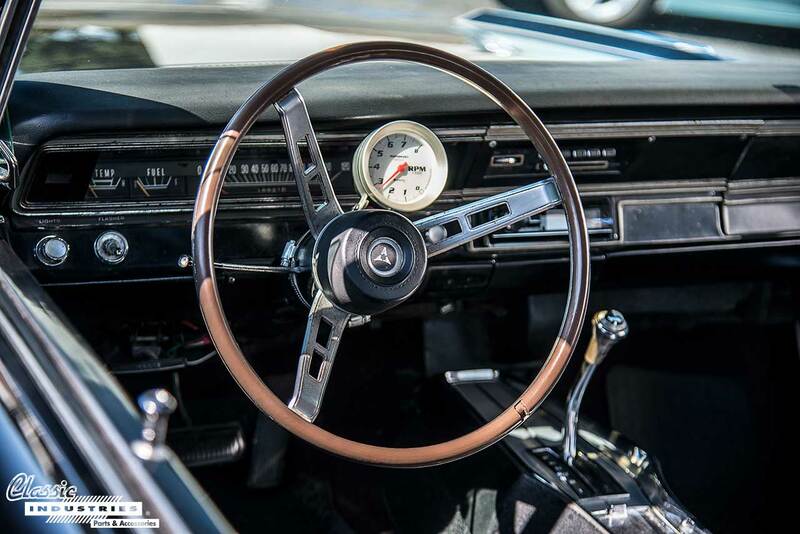 The car rides on a staggered set of chrome Cragar wheels, maintaining the period-correct look. Jeremy tells us he "purchased a bunch of stuff from Classic Industries to assist with the restoration of this project." He's glad to get it looking like new again and running strong. This A-body muscle car proves that the platform can provide just as much fun as its B- and E-body Mopar siblings. 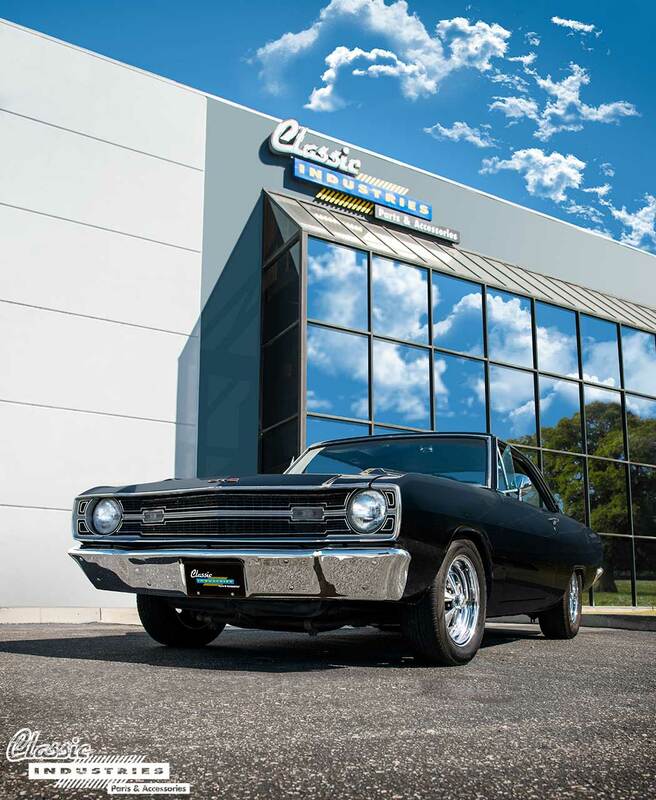 If you own a Mopar A, B, or E-body vehicle, be sure to check out the Classic Industries restoration parts catalog. It's packed with reproduction parts, performance upgrades, cleaning products, maintenance items, and other important accessories. 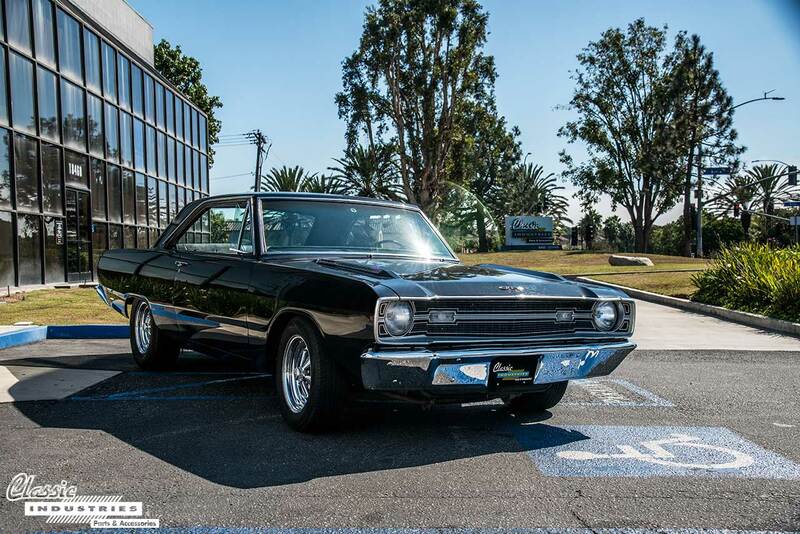 Click the button below to get your Mopar restoration catalog now.